Choose the Right Glue for the Job! Grizzly Glue is a professional-strength polyurethane adhesive, available in 3 formulas and a range of sizes and quantities. Whatever your trade – whatever the job – find the glue that’s right for you AND right for your budget. 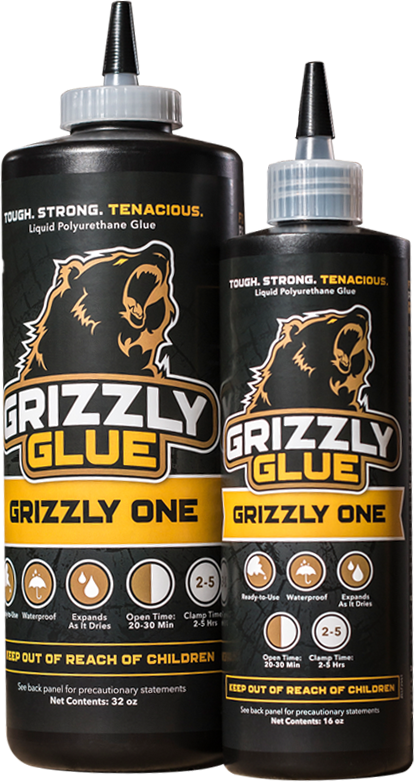 Get a grip on all your gluing needs with Grizzly Glue! North America’s first liquid polyurethane glue – a high-tech adhesive widely used by European woodworkers and craftsmen for decades. Ideal for professional, commercial, and industrial woodworking needs. Even bonds to oily and exotic woods! This heavy-bodied, cartridge-loaded polyurethane adhesive is stronger than liquid polyurethane glues. Perfect for wood, stone, tile, metal, and glass - dries to a tough elastic texture. Industrial strength - ideal for professional and commercial applications. with a quick setting and curing time. The first and only semi-gel adhesive available in North America! Quick, professional-strength bond for wood, stone, tile, metal, and glass. When you need an industrial-strength adhesive that’s affordable and easy to use, you need Grizzly Glue. Grizzly Glues are specially formulated polyurethane adhesives that form unbeatable bonds on wood, plastic, glass, tile, metal – even stone! Construction-grade strong, yet easy to use, Grizzly Glue is tough enough to bear the test of time and the elements. Grizzly Glue is available in 3 formulas and a range of sizes and quantities. 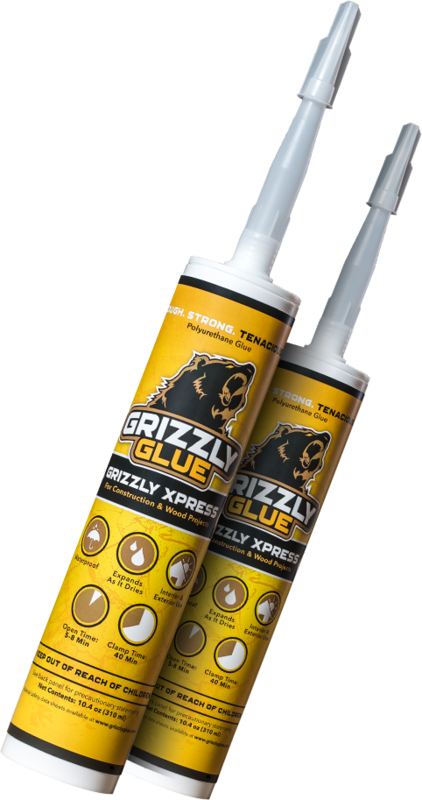 Whether you need one tube or a bulk glue order, Grizzly Glue is the strongest, most cost-effective industrial adhesive on the market. Find the glue that’s right for you and get a grip on all your gluing needs!